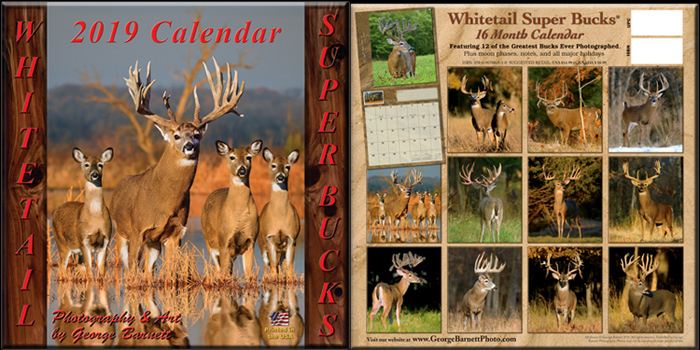 If you are looking for the absolutely best Whitetail Deer Calendar, Printed right here in the USA, (Not China like our competitors), look no more! 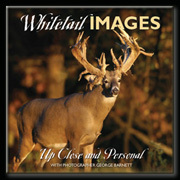 Beautiful big bucks in a variety of backgrounds and settings, the action and portrait images appearing in the Award Winning Whitetail Super Bucks® 2019 Calendar represent only the very finest photographs from professional whitetail photographer George Barnett. Extremely popular with deer hunters and other whitetail deer enthusiasts, these deer calendars feature only pictures of BIG WHITETAIL BUCKS! No does, no fawns, no little scrawny bucks like you find in other deer calendars. 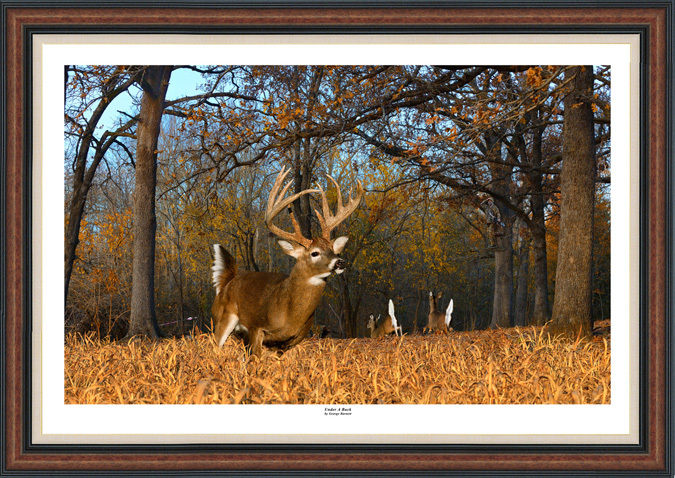 Only Whitetail Super Bucks®! And when we say big, we mean record book candidates only. Our minimums for inclusion in this deer calendar exceed even Boone and Crockett standards. These two bucks, samples from the 2012 calendar, scored 220 and 255 Boone and Crockett points. Our massive buck on the cover for 2019 scores over 300 B&C points. The calendar is printed in a 12" x 12" format and features moon phases, all major holidays, attractive graphics and ample space for notes and reminders. This deer calendar is printed on high quality, heavy grade paper with an attractive gloss finish. 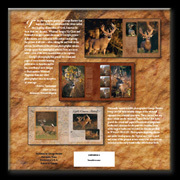 Deer Calendars are available now to distributors, retail stores or individuals wishing to purchase them directly. To Order your Super Bucks 2019 Calendar, go to the bottom of this page. Our second release from our New Great Escape Series, Under A Buck , pictured below (Framed for illustration only), is now available for purchase along with our four previous releases, The Six Pack, The Snow Pack , The Swamp Pack, Above and Beyond and The Run Around. Click Here for Details concerning the artwork and how you can purchase your copy Today. 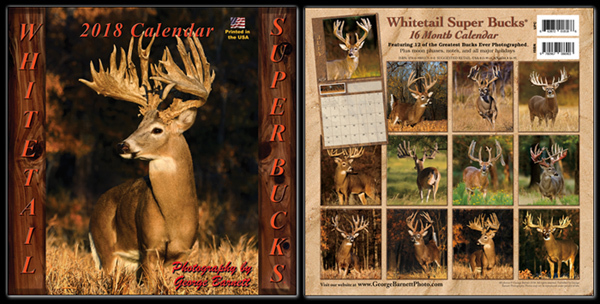 Contact us by e-mail for information on wholesale pricing, shipping or other questions concerning the Whitetail Super Bucks® 2019 Calendar or contact us by mail at our business address and we will gladly forward the appropriate information. Your additional comments and suggestions are welcome. All images on this page are copyrighted and protected under the Federal Copyright Laws. Do not download or copy.